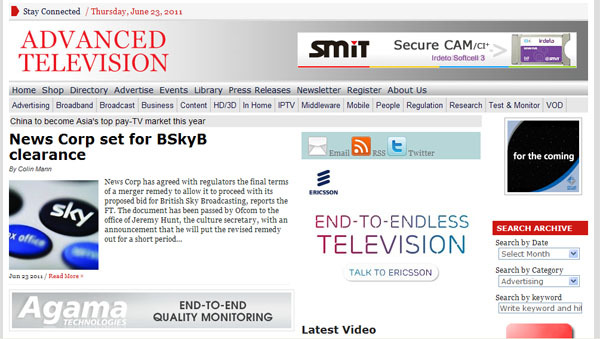 Published by Advanced Television Ltd, the Magazine is firmly established as Europe’s leading source for online news, features and analysis for the broadband media industry. Launched in 2001 the site regularly attracts over 20,000 unique visitors a month and generates in excess of 70,000 page impressions. From Monday to Thursday every week over 20,000 industry professionals rely on finding e.Daily News in their inboxes in the morning. 40,000 executives receive the renowned Friday File e.Digest each week. 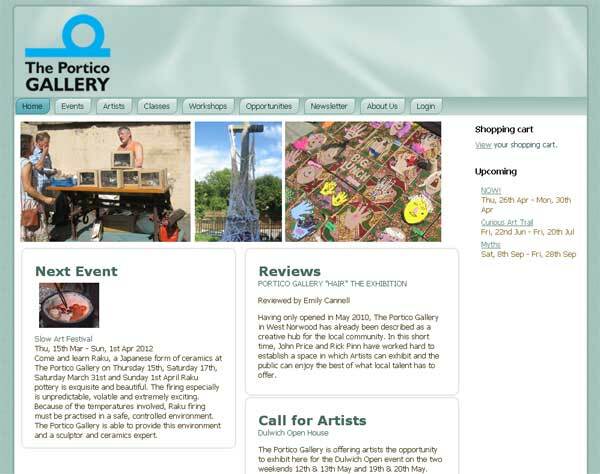 Operational since May 2010, the Portico Gallery offers an exciting neighbourhood Art resource for the community. An aesthetic and inspirational gallery where both new and established, trained or untrained artists can exhibit and sell their work and where groups can aspire to excel by exhibiting. 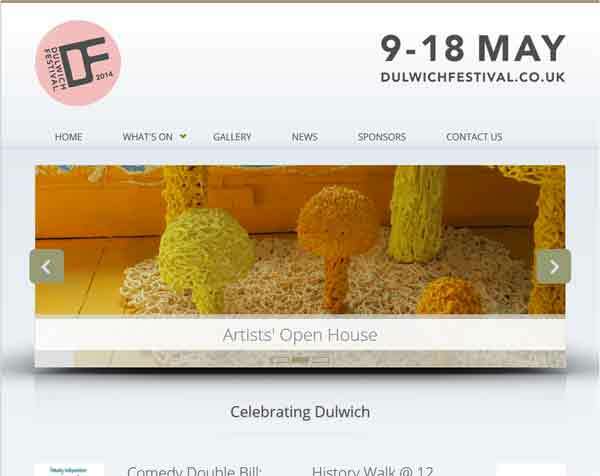 Started in 1993, Dulwich Festival is run as an independent charity providing a broad variety of artistic and cultural events easily available to the whole Dulwich community. We created a website that lists all their events and allows the user to purchase on-line tickets to these events.